Git, you either love it for its power or hate it for it's ui. While I'm a trained git apologist and love its power and flexibility, I've also done a lot of git user support at work and in the #git IRC channel. I understand the frustration of the jumble of jargon, inconsistency and arcana that is the git UI and will help you dive into it! If you have questions, comments or suggestions about any of the articles, please leave a comment on the article or in the issue tracker on GitLab. Suggestions for new articles are also very welcome! How do you keep local changes to the configuration files in your project's repository? Should you use update-index, or is there a better way to ignore local changes. None of that nonsense, your configuration files do not belong there and in this article I'll show you why, and what alternatives there are for your configuration files. Unless you have only one commit in your repository, no commit stands on it own and all commits can be related to each other. These relationships can be described in multiple ways, from exact revision walking paths to a vague 'are these commits even related'? Git understands that humans are not perfect, and that often we want to change our minds about what we did. To help with this, git offers many tools to undo our changes and even change history. The trick is knowing when to use which tool. Git tries very hard not to forget anything you have ever committed, but that only works as long as your .git directory is intact. What do you do if it gets corrupted? Many parts of it can be recovered and in this article we find out how to do this. Backing up a git repository isn't as simple as cloning it, even creating tarballs may not be good enough for backing up. And if you think rsync has got you covered, think again! 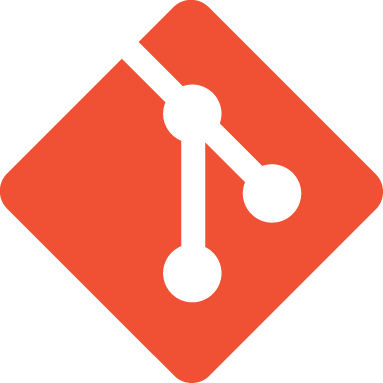 Let's explore some backup methods and how to break their assumptions with git. Of course we also explain how to correctly back up a git repository. Can you preview what the result of a merge would look like? Sort of, here you can learn how. We dive into the git rebase command and take away all the fear around it. Git has pretty decent and extensible bash completion. We'll teach you how to extend this completion for your own git subcommands. Learn how to to find branches that have been merged into your main branch and how to delete them. Getting rid of submodules is as cumbersome as any submodule operation. So let's have no more of it and delete some submodules. Refs are one of git's core concepts. Learn here about all the different types of refs (many more than just tags and branches) and how they differ from each other. Unlike in real life, a detached head is pretty common in git. Find out how you can get into this situation and how to recover from it. Ever committed something very large or sensitive? Find out how you can remove it from your repository. While git is not a deployment tool, many people (attempt to) use it as one. So here are some recipes for doing deployments with git hooks in a safe and sane way. Help testing Git development by using packages that integrate with Ubuntu, Debian CentOS and Fedora. You should never have to disable SSL verification, but sometimes you do not control the host you must get some data from. If you must do so, learn here how to do this without firther compromising your security. Never type your passwords again, but store them safely in a password manager Git can use. From zero to fully working web server in 2 configuration files, including smart HTTP, ssl, authentication, and cgit or gitweb. Workaround for a common pitfall for some git hooks: consuming all input. You don't need a graphical interface to see all your branches and their relationships.